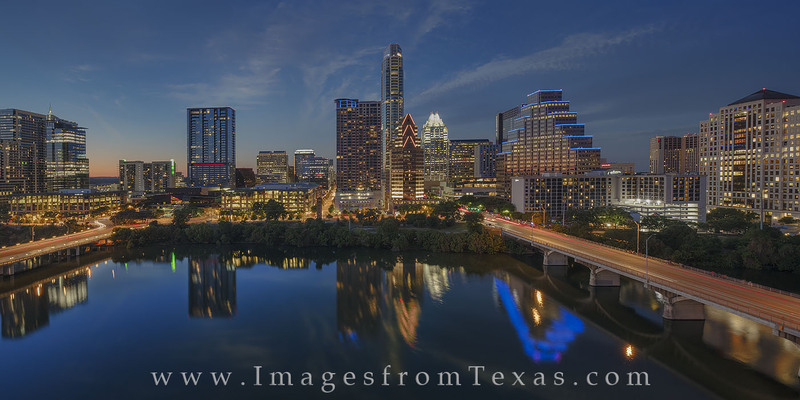 Congress Bridge leads across the still waters of Lady Bird Lake and into the shimmering downtown Austin skyline on a perfect May evening. High rises such as the Austonian, the Frost Tower, the Ashton, and many others make up the beautiful cityscape. Taken from the top of the Hyatt, this view looks across the water as night descends on Texas' capitol city.